Amazon Kindle for $359.00 from Merlin Mann (Andy’s Article). ManyBooks at http://manybooks.net/ for from Merlin Mann. Project Gutenberg at http://www.gutenberg.org for from Merlin Mann. Feedbooks at http://www.feedbooks.com/ for free from Merlin Mann. eyetv 250 plus at for $177.12 from Leo Laporte. 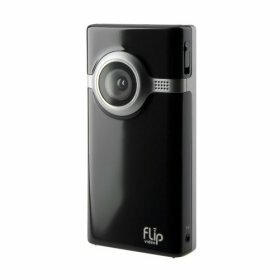 Flip Video Mino for $179.99 from Andy Ihnatko. VisualHub at http://www.techspansion.com/visualhub/ for $23.32 from Andy Ihnatko. Pandora at http://pandora.com/ for free from Alex Lindsay. The Bible from Leo Laporte. Does anyone remember what the AppleTV hack that you put on a USB drive and plug into the AppleTV to use was called? Is anyone aware of similar software (or the same software) that runs on a full-blown Mac? @bassam – that was aTV Flash at http://www.applecorellc.com – I think it’s now a download. Next Next post: Picks from MBW 93: 3G or not 3G?